motor car manufacturers are very keen on the specifications contained in the small print at the foot of their advertisements. these most often, aside from detailing the interest free monthly payments that would have a shiny new model parked in your driveway, give credit to the miles per gallon available, garnered most likely by a professional driver circling a test track at a steady 56 mph, governed by a very attentive cruise control. in some you may also be made aware of the speed at which it can accelerate from zero to 60mph, though quite why that might be of interest i have never really managed to fathom. but suppose the car showrooms and advertisements in both press and television showed only the chassis of these vehicles. yes, there would be steering wheels, engines and seats, but the bodywork would be completely absent. how would you make your choice from that? while i have little doubt that fuel economy, top speed and maybe even the torque produced at a steady 3,000 rpm are important factors in many drivers' ultimate choice, along with the apparent value for money and total cost, i figure the colour and shape of the bodywork plays a greater part in most folks' choice. were you to view a bmw five series devoid of bodywork side by side with one of those dacia thingies that seem to be amongst the most economic vehicles available at present, those pertinent numbers may well take on greater importance in the absence of a saleable aesthetic. no doubt there are those who would dispute my contention, but i think the local hotelier who has recently taken delivery of an alfa romeo 4c would find that he impressed the local boy-racers a lot less if the bodywork looked far less akin to a le mans entry. granted, it's raspy exhaust note would likely still elicit enviable glances from top gear aficionados, but i think it a truism that many a motor car is selected as much on the emotion of its body shape as the numbers that tarry along for the ride. 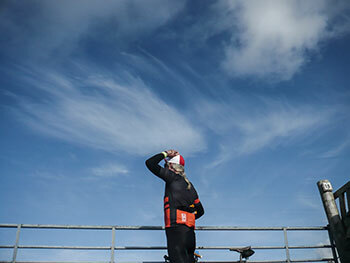 and the same may very well be true when it comes to choosing a cycle jersey. granted, none of those i own have ever taken me close to the 1.1g acceleration claimed for the sporty alfa, but i'd be somewhat loathe to clothe myself in a polti or even liquigas cannondale jersey, because no matter the wicking claims for the latest technology in polyester, they're just plain ugly. but in an overcrowded cycle clothing market, i often wonder why it is that new kids on the block put in regular appearances. unless you're truly bringing something new and unique to the peloton, why would you bother fighting it out midst the good, the bad and the ugly? ultimately, given the proverbial level playing field, new products that are every bit as good as, but essentially no different from the majority on offer must surely create (or recreate) a style that will find favour amongst the cognoscenti? one such candidate recently surfaced is that of barcelona's cucu. according to cucu, the company was born from "mix of a love for cycling and a passion for design. 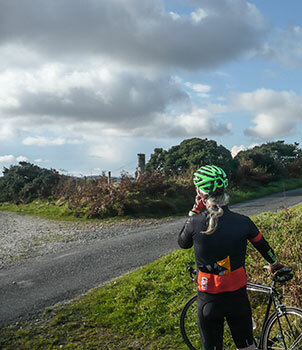 We understand cycling as a culture that we have lived with since our childhood, when we spent our summer afternoons watching the legendary stages of the Tour de France." that pretty much puts in a nutshell, the reason why i have been riding around the principality clad in a molteni orange jersey with the word 'hautacam' writ large across the front. it is one of a range of jerseys celebrating well-known mountains featured during those three weeks in july. others bear the names of the plateau de beille and the tourmalet. 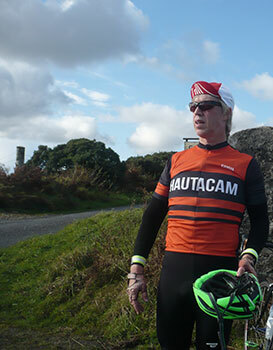 i cannot deny that each, including the hautacam edition on review, bear attractively simple designs and colours, married to a conventional, three rear pocket jersey, apparel that is every bit as good as its competition. the front features an almost concealed three-quarter zip, ending in the ubiquitous zip garage at the contrasting collar. 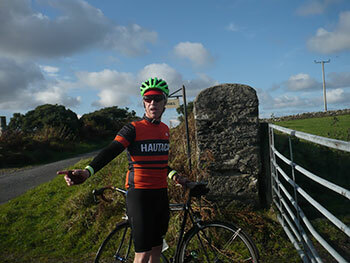 rather cheekily, this jersey along with the plateau de beille example features a contrasting band on the right sleeve. unlike several others, however, those sleeves are rather more casual, with no sign of the silicon gloop on the cuffs to maintain a pelotonic professionalism. that said, they're a close enough fit, and were never in danger of heading towards either shoulder. the dropped tail does, however have a thin line of gloop to prevent the back from riding up, thus keeping the lower back from experiencing any cold draughts. there are a lot of those around at present. above the tail are the three capacious pockets. these happily swallowed a showers pass elite waterproof jacket, a digital camera, tyre lever, musette and one of those granola bars you can buy in the co-op supermarket. sadly, there is no sign of a zipped fourth, an accoutrement i feel ought to be mandatory on essentially non-competitive cycle jerseys. i think we all carry loose change for a coffee, house or car keys or heaven forbid, a mobile phone, and it's nice to have somewhere secure in which to place any or all of those. however, cucu are not alone in such remissiveness, so it would be unfair to single them out in this respect. 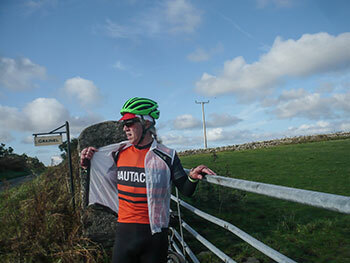 basically, the hautacam jersey is a stylish, well-fitted and pragmatic addition to anyone's cycling wardrobe. it doesn't break any new technological ground, but then it doesn't pretend to. it's principal sales point, i would think, depends entirely on your sense of aesthetics, coupled with a desire to satisfy them in the manner of a cycle jersey.